I graduated from Paul Mitchell the School-Houston in 2014. My hair journey started when I was just 10 years old. I was involved in FFA, and I showed heifers, steers and was the president of our chapter. During every major show, I had a line of girls wanting their hair styled and makeup done. As I got older, I had recurring girls every weekend wanting me to glam them up. Then I knew I had a gift that I needed to share with the world. I have a passion for blondies, nothing makes me happier than doing a full foil. I love all hair colors but blondes have a special place in my heart. I recently moved to Baytown from Sugarland. I have one fur baby named Beaux. 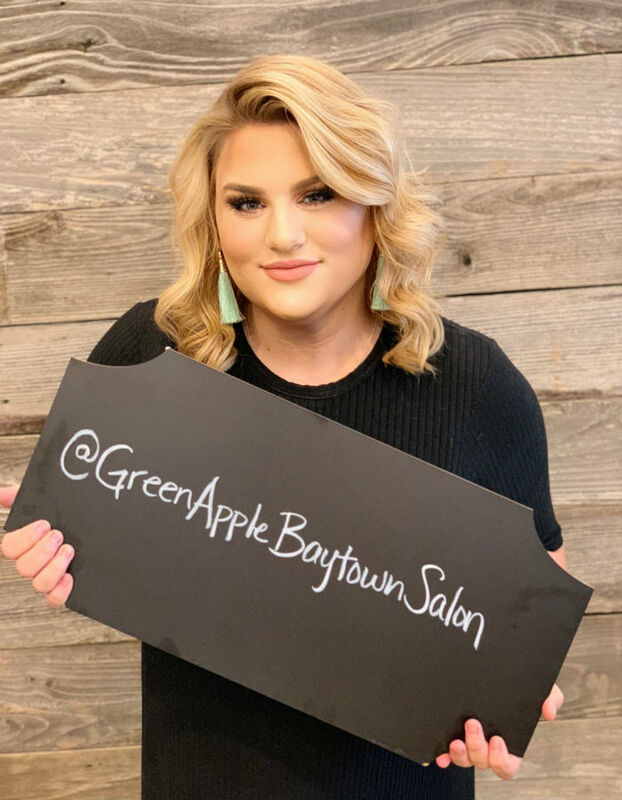 I am excited to start building my forever home here at Green Apple Salon-Baytown!